Add our Browser Search Engine! Due to work and family commitments c8dproducts will not longer be designing, building or shipping any Commodore hardware, this may change down the track, who knows. So for now we have however decided to put all our designs online for anyone to download and use as they wish. Please understand that the reason I've stopped doing this is because I ran out of hours in the day and didn't want my hobby to turn into a chore, so the files are being provided 'as is' with no support at all. You will find the Atmel AVR source code and .pcb files for each project, unfortunately I don't have the schematics as they were hand drawn on paper and have since been lost. Here's all the development files, Feel free to make use of them. C8D started back in 1984, well, we haven't really been around since then, but that was the year I got my first Commodore 64. From that point on I had owned another C64 (because my original breadbin model died), an A500 and an A1200 until I moved to PC's in the late 90's (nothing unique with that story). It was back in 2009 I got the retro itch after stumbling across Vice64 on the internet and finally admitting the modern games on my XB360 were just too hard. PC emulation of a C64 wasn't really cutting it so I decided to check Ebay for a real C64. After finding a suitable C64 (actually a bulk lot with 2 x C64's and numerous drives etc) I was back in! I joined up on Lemon64 soon after and was amazed 'the 64 scene' was still alive in force all these years later. 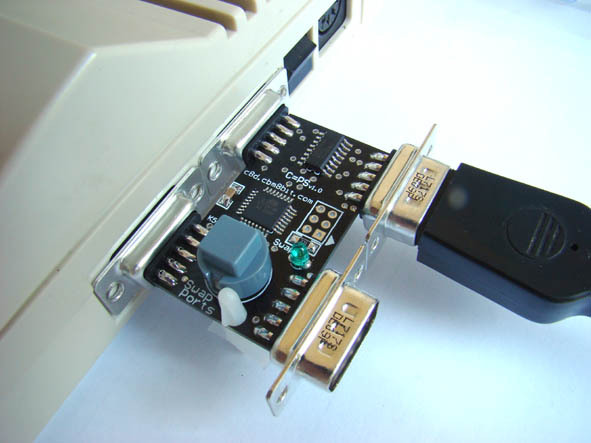 The first thing I bought was an XA1541 adaptor so I could start transferring some games I downloaded off the internet to play on the C64. Whilst this works well, back in the 80's I used tapes for many years so I started thinking about a way to be able to record tape (.tap files) to the datassette, I wanted those loading screens! 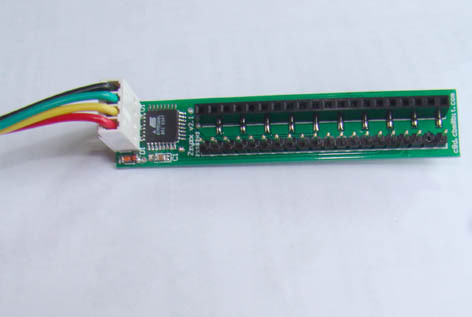 Looking at my current PC situation I only have one with old school connections (RS232, LPT), I really wanted something that would work on any PC. I found the Windows programs WAV-PRG and Audiotap by Fabrizio Gennari. Both these allow you to output .prg or .tap files as audio via a sound card. So I tried to play some .tap files into my stereo system and record them on tape. After many hours of frustration I gave up, I could never get a program to record correctly. 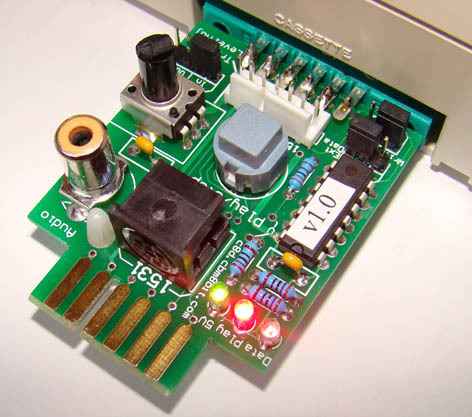 I have been playing around with Atmel 8bit AVR microcontrollers for many years, these great little microprocessors are dirt cheap and very powerful. I figured the AVR might be the solution to this problem. So one weekend with my AVR development kit I sat down and figured how I could convert the audio from the PC to a nice stable 0V to 5V digital signal the datassette needs to record reliably. That same day I had success, I had recorded “The Staff of Karnath” .tap file to the datassette and reloaded it back in to the C64. I used this development set-up for a week or so but I got annoyed at having to record it to tape first then play it back (remember, datasettes are slow!). So I made some changes to the design that allowed the AVR's digital signal to be directly fed to the C64 and at the same time mimic the play button on the datassette. This meant no more recording the .tap file to tape, it could just be fed directly to the C64. I showed this on Lemon64 and there was some people who were quite interested in getting one themselves. So I had a small run of PCB's done and started listing them for sale (as they still are). C8D is not about me getting a deposit for a new car, all incoming funds go back to offset the costs to build more of the existing products, develop new products or rescuing a few more computers off Ebay for development purposes. It's always going to be a self funding hobby that I want to share with other Commodore computer enthusiasts.